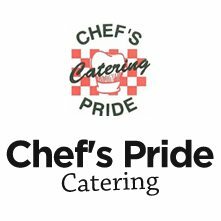 Dinner Buffet $30.00 Service Package – Chef's Pride Catering, Inc.
Price $30.00 per guest with a minimum guarantee of 100 guests. Price $33.00 per guest with a minimum guarantee of 75 guests. Price $35.00 per guest with a minimum guarantee of 50 guests. If you are interested in securing your event a $600.00 Non Refundable Deposit will be required in order to secure the date. Final guest count and payment in full are due 14 days prior to the event.